Every day there are hundreds of new articles and blog posts about cannabis. Some claim it is a medical panacea, others claim it is a dangerous scourge, and still others claim it might have elements of both. The history of sensationalist cannabis headlines runs deep, both in the United States and around the globe. In this context, within such a loud, heavily polarized discourse, how can we tell what information is reliable and what isn't? What is really going on behind the scenes of all this cannabis media? 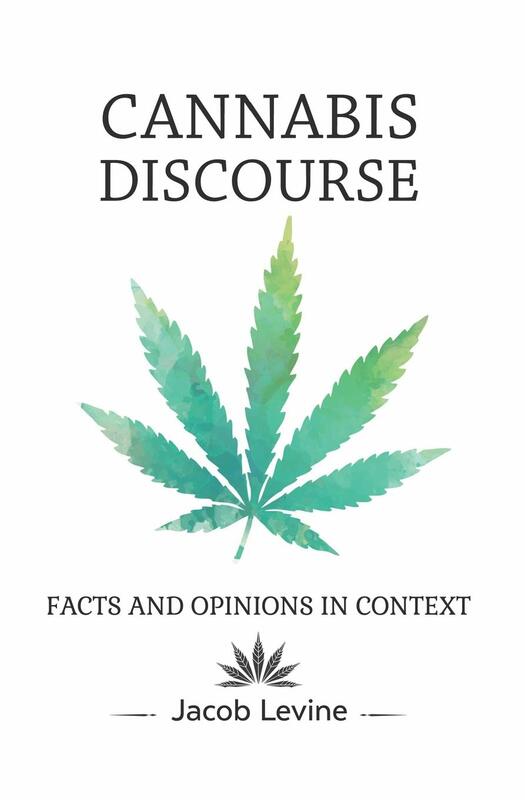 These questions are the basis of Jacob Levine's new book, Cannabis Discourse: Facts & Opinions in Context (2018). After ghostwriting a host of articles and blogs for several European cannabis companies, Levine set out to understand the mechanics of the cannabis discourse and offer some much-needed perspective on how we all read, watch, and hear things about weed. NJ: Can you tell us a little bit about your background in the cannabis world, and what about that experience led you to write the book? JL: I started writing for several European cannabis companies that mostly sell seeds—they are seed banks. I mostly wrote blogs and articles as a ghostwriter about various topics such as how to roll joints, how to grow plants indoors and outdoors, the legal status of cannabis in Austria and Germany, in Spain, what are coffee shops all about, what are cannabis clubs all about. So I've written more or less like 60 or 70 articles and plenty of strain descriptions. During that time I wanted to really write something that expresses my point of view without being edited. … I wrote as a ghostwriter so all the content could be changed at any given point, and many times it was changed, and the message that I wanted to mediate was changed. … so I started writing the book. When I started writing the book about cannabis, I wasn’t sure how to approach. I wanted to tell the world that yes we need to legalize cannabis because it’s good for medicinal use, we need to legalize it because the criminalization of cannabis does more harm than good. I wanted to take the very pro cannabis approach, like the "legalize it!" rant book. 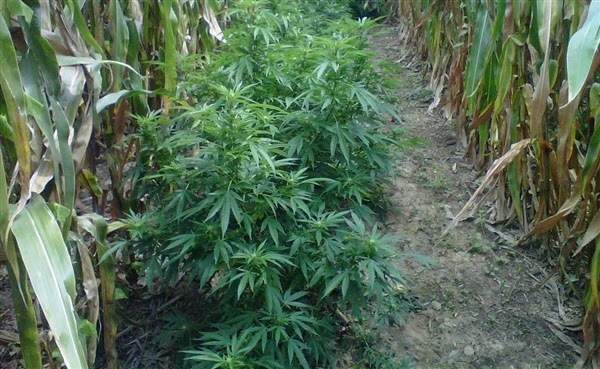 So after I was writing for one or two months in this style, I was reading a lot of different blogs and articles that take a more opposite approach – they wanted to keep it prohibited, different worries about the legal cannabis industry – and I started to realize okay, I cannot speak about the things that I have no idea what I’m talking about. Like “cannabis is good for anxiety” – well I’m not a scientist, I cannot speak about the effects of cannabis. So I thought to myself, how should I approach this if I’m not an expert in any field really. I realized that what I am – not an expert but what I’m knowledgeable about – is what is going on in the media space surrounding cannabis. NJ: Did you have any kind of standard approach to whatever it was you were reading or looking at? How did the book come together in that regard? JL: I’ve just read and listened to everything, because I just wanted to know exactly what is going on. Then I started to see patterns, I see things that repeat themselves very often, so I just kept note of the things that are arepeating themselves. … Like the gateway drug theory, it more or less presents itself in every single argument for or against cannabis. NJ: From your perspective, how does the terminology affect the discourse? How do the words we use about cannabis affect the way we think about it? 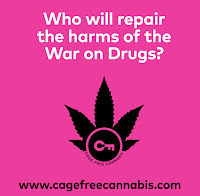 The second reason why people want to change the word is because they want to brand it as something new – it’s not this drug that you used to think about, it’s “cannabis.” To be honest, I think this is also neglecting the fact that there are so many people who went to prison, and there were so many people who were criminalized and stigmatized because of marijuana, and now we’re trying to shut out that history by branding it something new. It’s almost like we’re doing the same thing that [Harry] Anslinger did with calling cannabis “marijuana.” I don’t think we should be doing the same thing. I think we can call it marijuana. NJ: Parts of your book read more like “how to read the news” in general more than how to read things specifically about cannabis. Was that intentional? JL: I don’t only want to mediate truths about cannabis, which I'm very enthusiastic about, but it's also about where we are as a society, as people. I think we’re very polarized, and I just wanted to give an understanding that there are different ways of thinking about things. There isn’t just one mode of logic. 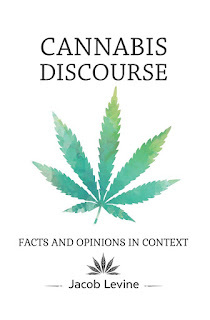 This book is about cannabis, but the lessons about mediating, especially in that chapter, “How to Read Between the Lines,” I’m trying to mediate just an idea that we need to understand different points of view, and you can spin everything. You can spin scientific data, you can take quotes from Harvard-educated professors and you can just spin it in your own way, and these things can be used for good or for evil. It’s also about how we read things. It’s not just what we read and consume, it’s how we read it. What are the lessons learned from this article? We might understand the same article in different ways. 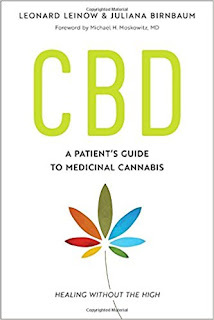 NJ: What did writing this book teach you about cannabis that you didn't know before? JL: I think that what it taught me is just that there are different ways that we perceive cannabis, and I didn't understand the way people really think about cannabis before I wrote this book.